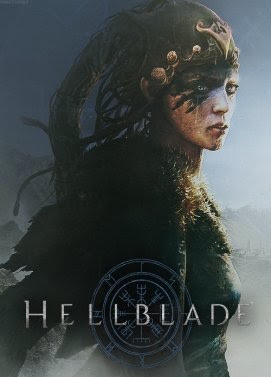 Hellblade is a multi-platform action game developed by Ninja Theory for PC, PS4, and Xbox One. 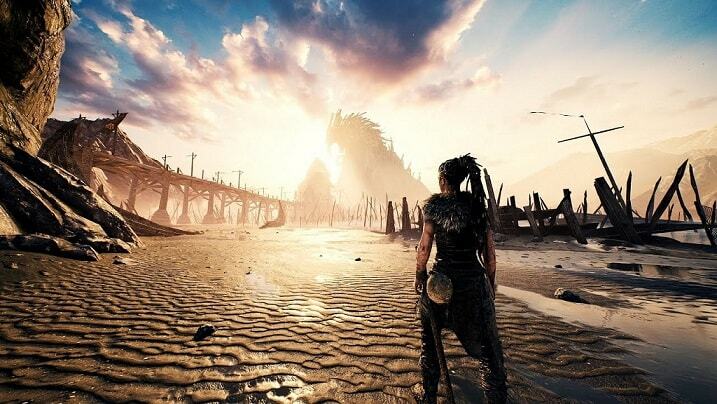 Its Walkthroughs are based on Senua's story and her sacrifice. A dark fantasy video game developed by a very small team who was led by a famous game director Tameen Antoniades at a British gaming studio Ninja Theory. Hellblade Senua's Sacrifice falls under Action-adventure video-game genre which follows Norse Mythology and Celtic Culture. Senua is the main character of the game who belonged to a Northern Scotland during the Early Iron age and late medieval age. She was a fierce warrior who fought against the Helheim and defeated them after facing all the challenges that came across her way, she did all this to rescue her late lover's soul from Hela who is the goddess of Norse mythology. The development team worked in cooperation with the neuroscientist, doctors, and mental health specialists because they had to represent Senua's struggle against her mental disease called Psychosis due to which Senua hears voices from her head called "furies" and memories from her past. She believed that this is not a mental condition but a curse and she is being haunted by Darkness (an unknown entity). She sacrifices and struggled with her mental condition and rulers of her time with an objective of rescuing her lover's soul. Hellblade featured one of the best cutscenes of the gaming world, the voice-over in this game was amazing, it was done by different voice artists. Many live actions by famous motion capture actress and performances from other artists too were part of these legendary cutscenes of this dark fantasy video-game. Critics appreciated Hell Blade because of its unique gameplay, its characters, and representation of her psychosis. Its story and features were so amazing that more than one million copies were sold in a time span of less than a year. Hellblade was developed and published by Ninja Theory an independent gaming studio based in British. It has elements of psychological Horror, Puzzle Solving and Hack-and-slash which can be called tabletop role-playing style. The director and writer of this game are Tameem Antoniade, two senior designers named Joe Nelson and Juan Fernandez designed it. Gavin Costello, Loong Wei Ding, Melanie Hall, Stefano Prosperi are the programmers of this amazing action-adventure video-game. Hell Blade uses Unreal Engine 4 and is available only in Single player gaming mode. This video-game has one of the best gameplay, it has been divided into two parts. In the first part, the character is allowed to wander in surroundings to discover various things. She can follow the story which is being guided to her by the voice over of the game or she can solve different puzzles placed in the game to interact when moving from one place to another. As the character faces an unhealthy mental condition so she has to use her focus capacity for solving different puzzles. Cutscenes appear during the gameplay at different stages making it more interesting to play. In another kind of gameplay, she has to fight against different enemies who belong to Northmen. These enemies can be bosses and lords of Norse Mythology and they have been blocking her way to progress. When she fights with a certain opponent her sword is in her hand and she can use either Quick attack or Heavy Attack. She can also kick them if they are trying to block her attacks by using dodge or parry techniques. Unlike other action-adventure video-games, there is no HUD (status bar showing indications) or Tutorials instead of these there are audio indications that comes when she hears voices from her head due to psychosis. To complete the game to the end Ninja Theory released official walkthrough for Hellblade using which you can lead your character Senua to fight her enemies and rescue her lover's soul. She is supposed to sacrifice her life to do this. The walkthrough is presented in sections, you can follow all of them by visiting this link. Ninja Theory officially released Hellblade for Microsoft Windows and PS4 (PlayStation) on August 08 2017. It was released for the general public only through digital channels, even then it was the best selling video game for PS4 during the August 2018. Features for both these platforms were almost the same and both have the same gameplay, graphics, and story. One year later after the original release, the developers came up with Xbox one edition of the game on April 11, 2018. They also gave out enhanced graphical support for Xbox One X, fully updated virtual reality support for HTC Vive and Oculus Rift Headsets was also given out along this release.